In the 1970’s South, Valeria Vose’s life is not as she expected. Raised to be a wife and mother in a closed society with traditions that blinded her from her own potential and her desire to be an artist, she is unprepared for a life-altering crisis. On the brink of forty, her 18 year marriage is shattered by her husband’s infidelity and his lover’s attempted suicide. Turning to an Episcopal priest for direction and solace, she spins into a clandestine love affair that results in abuse and betrayal. In her disillusionment, she picks herself up and embarks on a course that leads to personal, creative independence. This debut novel reads like a memoir, relentlessly honest in its internal observations, rich in detail of time and place. Challenging the core of a religious skeptic, it is a triumph of the spirit that wins in the end. Alice Gorman’s beautiful first novel tracks the eponymous Valeria’s journey as she finds her way from dutiful wife and mother to independent and enlightened single woman, aware of herself and sure of her place in the world. Gorman is exquisitely attuned to social nuance and psychological detail, and she renders this community—Memphis in the mid-twentieth century—with wonderful accuracy. This is a necessary story about a journey all women take in one form or another, and the book is enriched by Gorman’s wisdom and compassion. Brava. Here is that rare jewel—a spellbinding literary page-turner. It’s hard not to love its desperate and fascinating heroine—Mallie, Memphis mother, ex-belle, and artist—caught at a point of extreme crisis. You literally can’t put this book down, from the surprise revelation of Mallie’s husband’s repeated infidelity through her priest’s sexual exploitation during counseling sessions. Mallie’s determined search for her own spiritual self and her authentic identity is a winding trail which leads her into the past and back again, a rejuvenation through honesty and art. Beautifully written by Alice Bingham Gorman, this everywoman’s journey is a trip well worth taking. In this impressive debut novel, Mallie Malcolm of Memphis, Tennessee, boldly transforms herself into the titular Valeria Vose. Mallie/Valeria’s story is that of so many women of a certain generation, an arc Alice Bingham Gorman traces with the sense and sensibility of a true artist. Valeria Vose made it through the dark tunnel like so many of us have done. This book reveals the ‘shadow side’ of feminine life in the South and the commitment it takes to recover from it. A moving and honest portrayal of a woman who finds herself propelled into uncertainty and turmoil when her relatively sheltered and secure life is blasted apart by a betrayal. Alice Gorman’s story will carry you through waves of aftershocks into a heartfelt exploration of how a life gets pieced back together, slowly and painfully, and how a seeming disaster can carry the seeds of new hope and deeper meaning.This book will be a comfort and a touchstone for others. What makes the narrative exceptional is its nuanced approach to Mallie’s spiritual transformation. 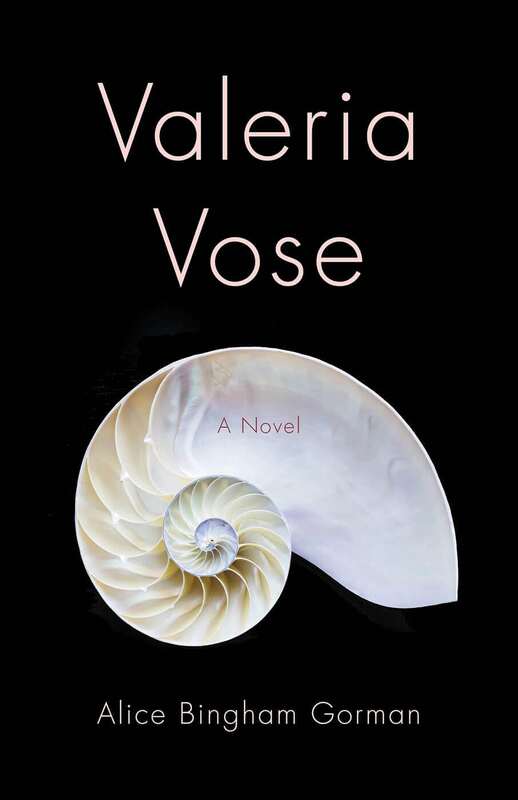 Valeria Vose is a brilliant, heartbreaking, and affirming story of a woman’s life after the disintegration of her marriage. Set in 1976 in Memphis, a city still reeling after the murder of Martin Luther King, Jr., the novel tells the story of a young mother struggling to find her way forward, rediscover herself, and expand her world. Valeria is resilient, honest, and funny. Spending time with her and the people in her life is a treat. The duck hunting scene! England! That priest! I’d like to ring his neck. Valeria, I miss you already. Valeria Vose is thought-provoking, well-written, and emotionally riveting. The great gift of this book is Gorman’s willingness to take a deep dive into multi-layered truth and deliver the wisdom into our hands as model and inspiration. She captures many of the themes/issues/struggles women undergo, both in past decades and even to this day. Valeria Vose brings to life a time and place that nostalgia and romance have blurred into a kind of heaven. Here we see the post-war American south with all its suburban indelicacies and horrors, also with its humor and wisdom, even abundant life, as the preachers like to say. But watch out for those preachers! Alice Bingham Gorman has crafted a psychological story, divorce and transference, religion and romance, culture and family. But in the end it’s friendship that wins the day, and our dauntless heroine grows before our eyes into self-discovery and ultimately independence. Alice Bingham Gorman’s first novel Valeria Vose ends with the sentence “It was a place to start.” The closing phrase of my last book, #9, is “to begin again.” No wonder I feel such a connection with Alice Gorman! Though our books strive to be imaginative creations, not autobiography, we have both given them parts of our own psyches, salvaged from various shipwrecks, that we extend to readers with the hope of offering encouragement. Who has not suffered devastating loss and discouragement? As writers, both Alice Gorman and I want to say: Know yourself; take that knowledge to create a new, ever more meaningful life for yourself.